Don’t neglect the small spaces. 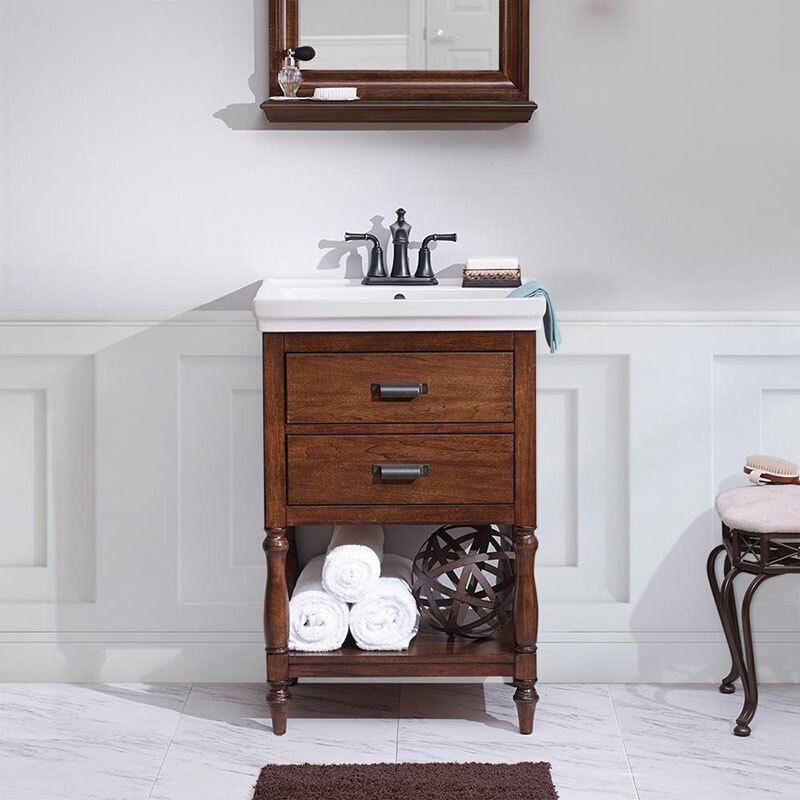 Focus on the details and bring elegance into your small bathroom with Cherie Vanity Combo. This vanity combo makes installation simple with an included vitreous china integrated sink top and adjustable leg levelers. The Cherie Vanity maximizes storage space with two u-shape drawers with compartment boxes, and an open bottom shelf to give you the space for towels and other larger items. Featuring turned legs, cup style handles, and a rich royal blue finish, the bold and unique design on the Cherie Vanity will elevate your bathroom to the next level. The following are specs and items pertaining to this specific brand model. ©Copyright 2016 Castle Cabinets. All Rights Reserved. Not responsible for typographical errors. Product images for illustration purposes only. Additional terms may apply. Quantity discounts available. Pricing subject to change without notice. Please use the form below to request an estimate from our team.